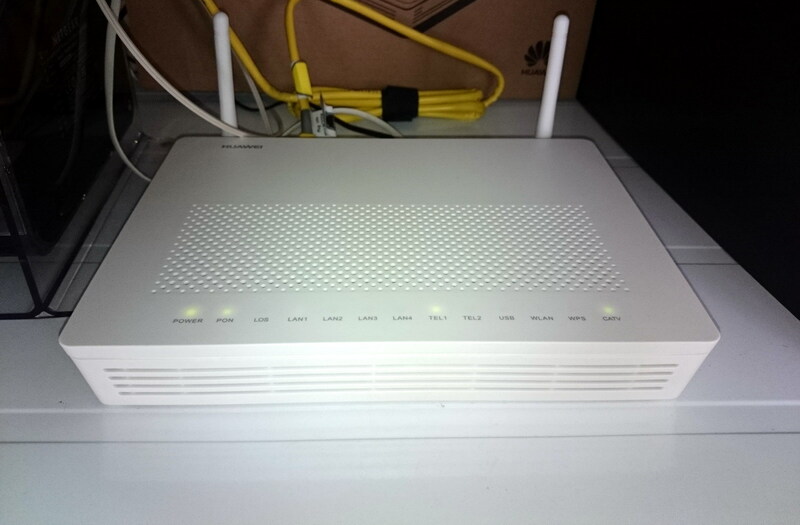 My ISP upgraded my connection from VDSL to fiber and gave me new hardware to go with it – the Huawei HG8247H GPON. 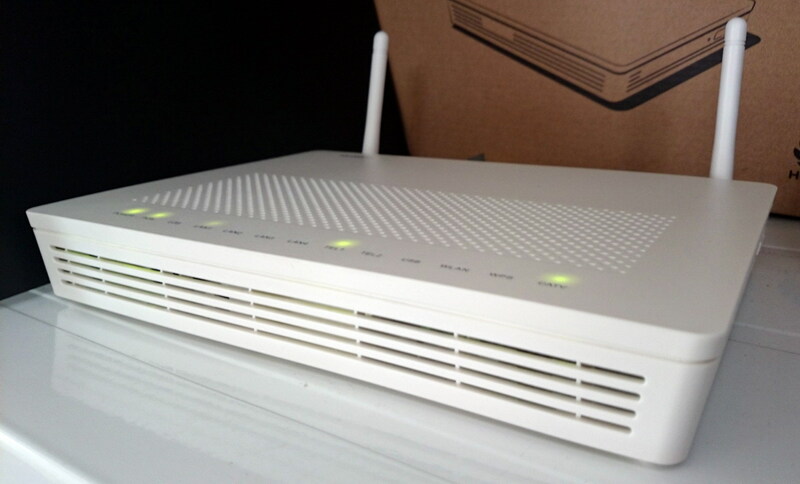 However, as I was already using the fully configured DDWRT-ed Netgear WNDR4500v2 router for all my networking tasks, I needed to turn the Huawei into a media converter and assign the static IP on the Netgear – not the easiest task as it appears. still work, but as soon as its WAN gets connected it grabs the configuration from the ISP and the administrator login gets changes. Fortunately, one can authenticate in the web interface before the device retrieves the configuration and the session remains valid until logoff (or timeout). This gave me a window of configuring the device all in one go and then leaving it there with the administrator interface locked out. But that would never be enough in the long run. So I read around and found the tools and method of obtaining, extracting and modifying the configuration file to suit my needs. Assuming the WAN interface was previously connected and the router fetched its auto-configuration from the ISP and the superadmin user is locked out, enter the administration interface with the standard root / admin login. Go into the System Tools section and do a settings reset. Disconnect the WAN (optical connection) while the router is rebooting. Wait for it to power on and start the web interface and you should be able to login with the administrator-level telecomadmin / admintelecom login (unless your ISP installed a custom firmware). Once you’re logged in, remember to browse around as the authentication has a timeout. Reconnect the optical link and wait for it to retrieve the operator settings. When done the connections should appear in Status > WAN Information. 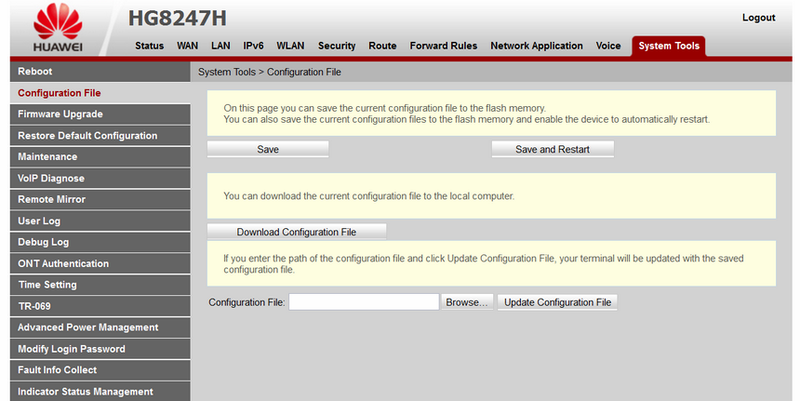 You can now navigate to System Tools > Configuration File and download the settings file. You’ll end up with a hw_ctree.xml file. You will not be able to read this file directly as it is both gzipped and encoded. If you don’t want to mess with the ISP’s login you can modify the root user to have administrator-level permission. For that, edit its UserLevel variable and set it to 0 (like the second user). Repeat the initial steps (reset the configuration and disconnect the WAN) to re-obtain access to the interface and restore the modified configuration file (through System Tools > Configuration File). Wait for it to reboot and you’re done – you can now login with full administrator privileges. PS: After a recent firmware update my ISP disabled configuration file encoding. If you’re lucky and your ISP does the same you can skip the decoding/encoding steps. You can check if the file is plain text or encoded by opening it with Notepad++/Notepad or looking at its size (around 200K means it’s plain text, around 20K is encoded). 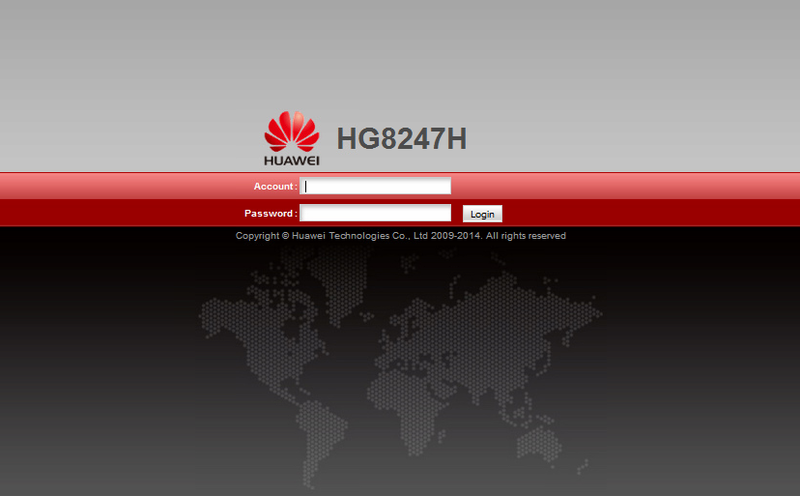 PS2: I would like to thank Huawei for the attention of publishing a security notice on their site related the content of this article. To clear things up, this article never meant to expose a security vulnerability (I never used such terms). The information in this article is only meant to provide a way for individual users to (re)obtain administrator access on devices locked down by the ISP and be able to access all functionality features. The procedure requires physical access to the device to reset it and use the default administrator user to export configuration – this cannot be construed as a vulnerability. from HG8245H use the same procedure ? 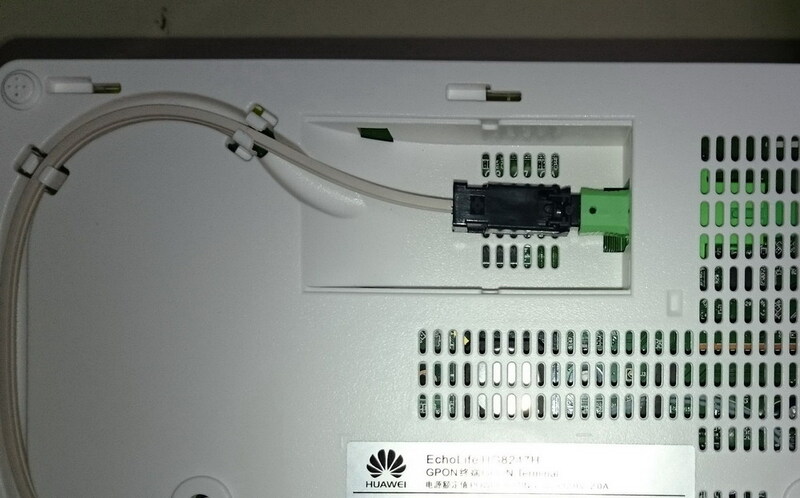 I want to check the internet usage of different devices connected to my Huawei HG8247H router for last say 10 hours. Can anyone help me? Did you find anything? I have the same problem with RDS. I can`t even change the WiFi password.. I have the same ONT HG8247H, from RDS and i dont have full acces i have User: user and pass: digi , haw can i acces the admin user or do somting to have full acces? The ONT have come preconfigured from RDS in the manual the origual defalt user is root and pass admin . can you help me somehow ??? By changing SSHLanEnable to 1 under AclServices I managed to activate SSH (did not try Telnet) and works on my firmware, although the router only provides access to a list of built-in commands and not actually a (Linux) remote interface. Except where otherwise noted or credited, text on this website is public domain / CC0. Feel free to use or reproduce it in any way you want - sharing is caring.